[Corrected, 6/21/06, 10:49 am. See below.] Internet billionaire Sean Parker’s new cancer immunotherapy institute didn’t waste time putting its $250 million to use in unexpected ways. The San Francisco-based institute, part of a massive philanthropic effort by former Facebook president Parker (pictured), is backing an experimental cancer treatment tweaked with the gene editing technology CRISPR-Cas9. Created at the University of Pennsylvania, the therapy has not yet reached human testing, but it could soon, which would make it the first time CRISPR-Cas9 is tested in people. [A previous version of this paragraph identified the wrong federal agency.] A National Institutes of Health safety review board will discuss the treatment tomorrow with Penn researchers, including Carl June, whose work has helped propel other gene editing and immunotherapy programs into clinical trials. MIT Technology Review first reported the review board meeting last week, as well as the Parker Institute’s connection to the program earlier today. If the review board gives a thumbs-up, it’s not clear when a Phase 1 trial would begin. The plan is to collect T cells from cancer patients, use CRISPR-Cas9 to snip out two genes from those cells to make them better cancer fighters, then put them back into the patients’ bodies. The T cells are also being engineered to attack a protein called NY-ESO-1, which certain hard-to-treat cancer produce in abundance. The Penn treatment wouldn’t be the first NY-ESO-1 targeted T cell to receive FDA clearance for clinical trials. British biotech Adaptimmune Therapeutics (NASDAQ: ADAP) is developing an anti-NY-ESO-1 therapy for sarcoma, a cancer that begins in muscle, fat, and other soft tissues of the body. Unveiled earlier this year, the Parker Institute for Cancer Immunotherapy pledged $250 million to six academic centers to boost their research, with the proviso that the institute would own patents that stem from its funding. In addition to Penn, the centers to receive grants are Memorial Sloan Kettering Cancer Center in New York, University of Texas M.D. Anderson Cancer Center in Houston, the University of California campuses in San Francisco and Los Angeles, and Stanford University. If the Parker-funded program reaches the clinic soon, it would be a remarkable milestone. Long known to be a defense system bacteria use against invading viruses, CRISPR-Cas9 was only described as a potential human therapy a few years ago. Therapies using CRISPR-Cas9 have not yet reached the clinic, but at least three biotech companies are moving programs ahead, and at least one could start a trial next year. In recent months Sangamo has also received FDA clearance to start trials in patients with hemophilia B, the rare disease mucopolysaccharidosis (MPS) Type I, and, as of this morning, MPS Type II. And earlier today, the French biotech firm Cellectis (NASDAQ: CLLS) announced that its development partner Servier has begun dosing patients with a T cell immunotherapy modified with another gene editing system known in shorthand as TALENs. The TALEN-modified T cells, called UCART19, actually fought off a deadly leukemia in a British child last year. But that was a special circumstance, a desperate request granted by doctors and researchers. The first dosing of a patient announced today marks the first time TALENs have been part of a clinical trial. Cellectis owns rights to TALENs for therapeutic use and has licensed the UCART19 clinical rights to Servier and Pfizer. The trial is taking place at University College of London and is for children with acute lymphoblastic leukemia, the most common cancer in children, according to the National Cancer Institute. The goal is to treat 10 children total, according to a Cellectis spokeswoman. 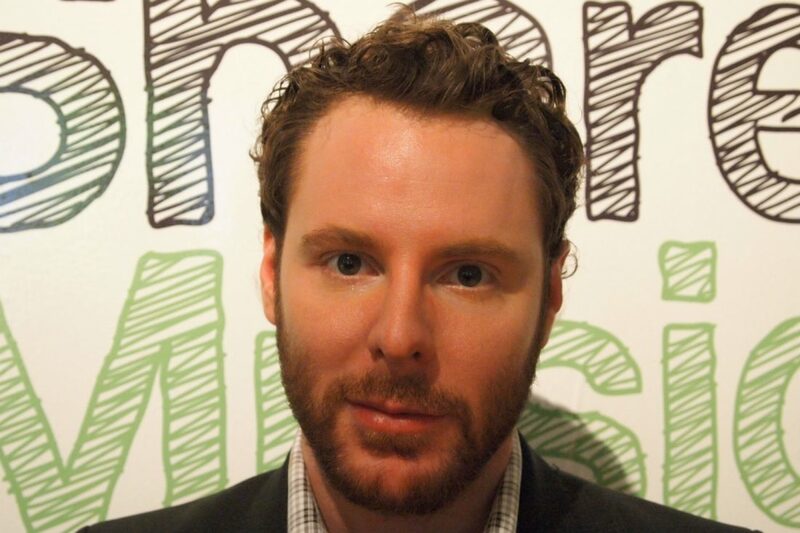 Photo of Sean Parker courtesy of Andrew Mager via a Creative Commons license.